She is one of Ashirogi Muto's assistants, along with Takahama and Ogawa. She is their only female assistant. She has one year of experience with shounen and one year of experience with shoujo. 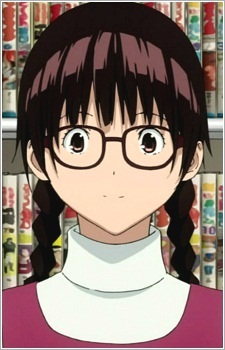 She gains experience throughout the series as she becomes an assistant for Takahama's Business Boy Kenichi, Aoki Kou's A Time of Green Leaves, and then later back to being assistant for Ashirogi Muto's PCP after one of their assistants gets serialized.